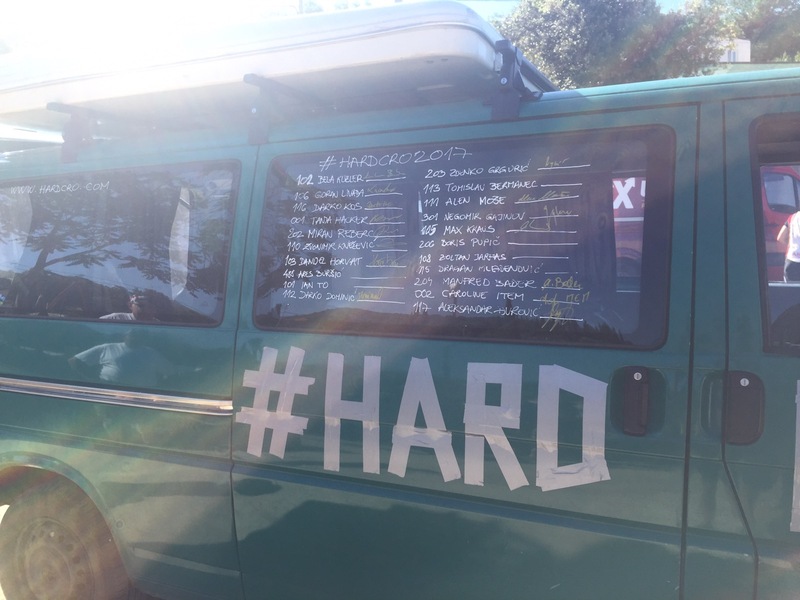 Starting mode of Hardcro is time trail mode, one starter every two minutes. It won’t be a ‚mass-start’ as in other endurance races, but it always gives me a hard time of discipline. Probably common male cycling gene says ‚catch the guy in front of you’. 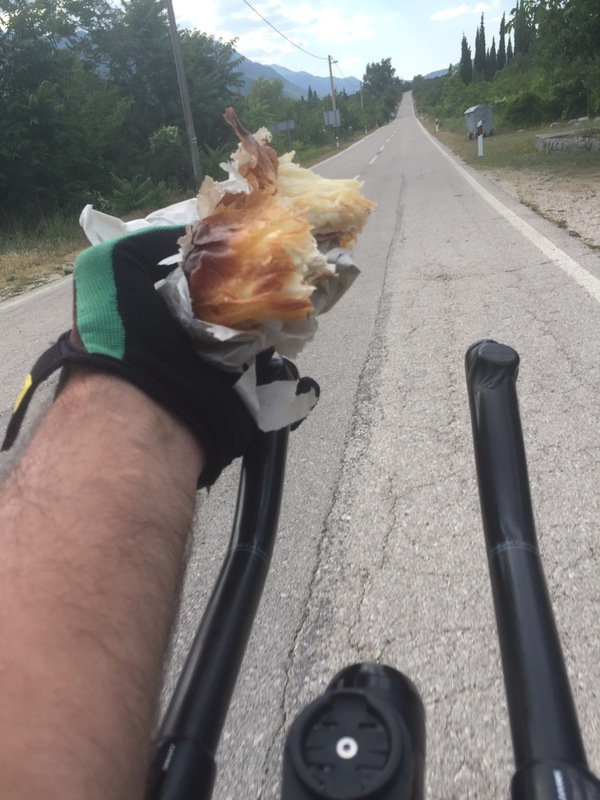 For some hours for riding this might be acceptable but for days of tough cycling this is a suicidal habit, at least for me. Starting at 0932 means that there were 16 riders ahead of me. Well, back to zero. 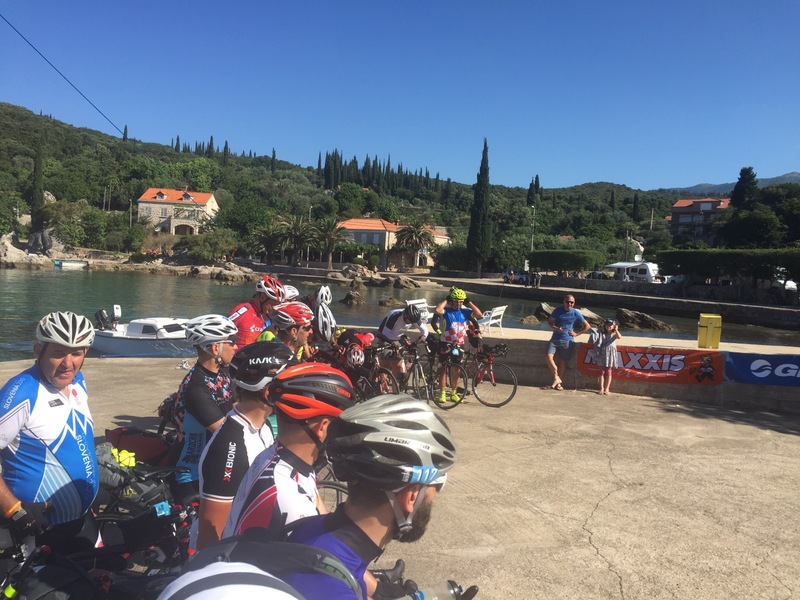 The starters sign in and the start line arch had been set up in the old harbour of Molunat, different to last year, but definitely a little more convenient for the riders. Some water and fruits had been prepared as the sun was already burning down pretty much. The night before I tried to charge my Garmin, to have everything fully set up but it refused to operate in any way. The micro-usb connection showed some corrosion or oxidation that I tried to sand away, but it still did not help at all. Well then, option one for navigation eliminated itself. I left it in my storage bag that was taken to the finish line. So plan B is to use my phone, if necessary. 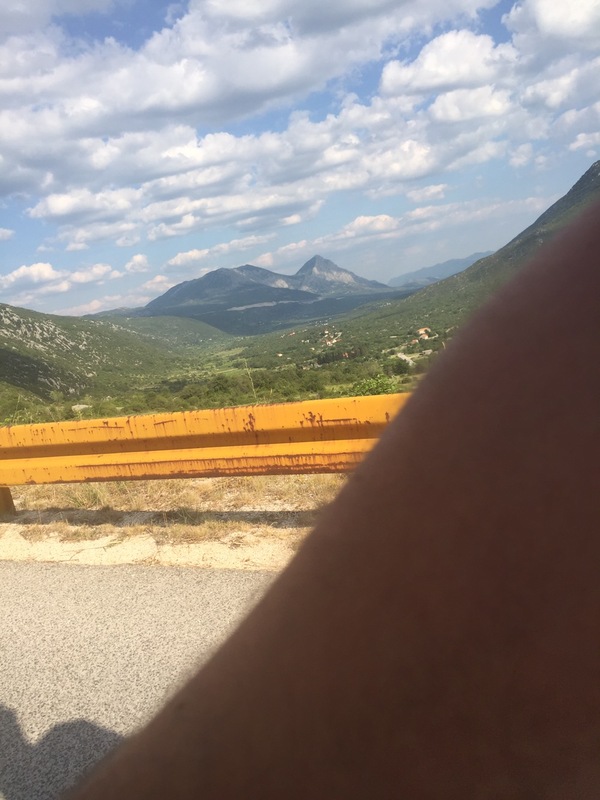 I should make it to check point 01 without proper difficulties and also from Sveti Martin na muri to the finish line shall work out fine. Plan C will be to start and summarize the most relevant village names and turn on a piece of paper not to stop every time, I was uncertain. Let us see how it worked out in the end. On my way to the starting line my chain fell off the chain ring, I did not realize this sign, later more. So I went off at 0932 at a beautiful sunny day without any recognizable winds. 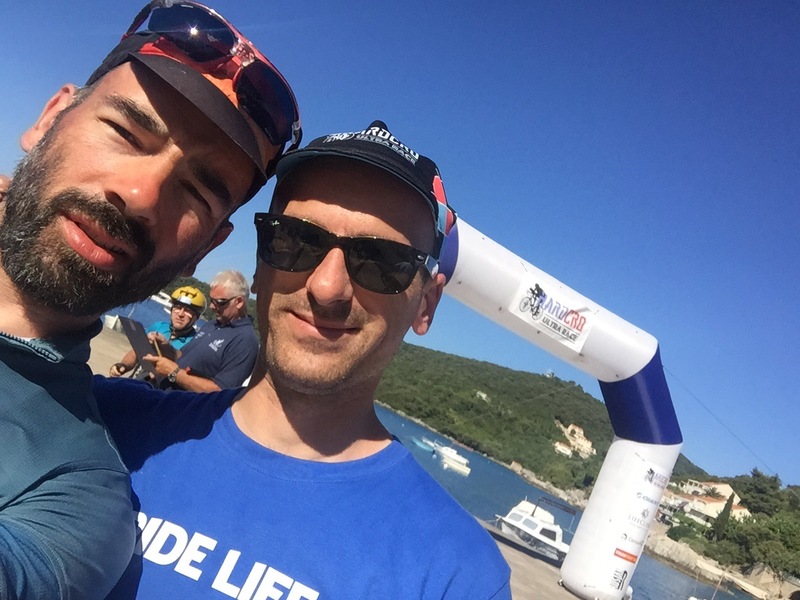 I decided to ignore the weather forecasts during these days, after I had some bad luck in the Alps and also around Senj with the strong winds again (How to get to Hardcro). 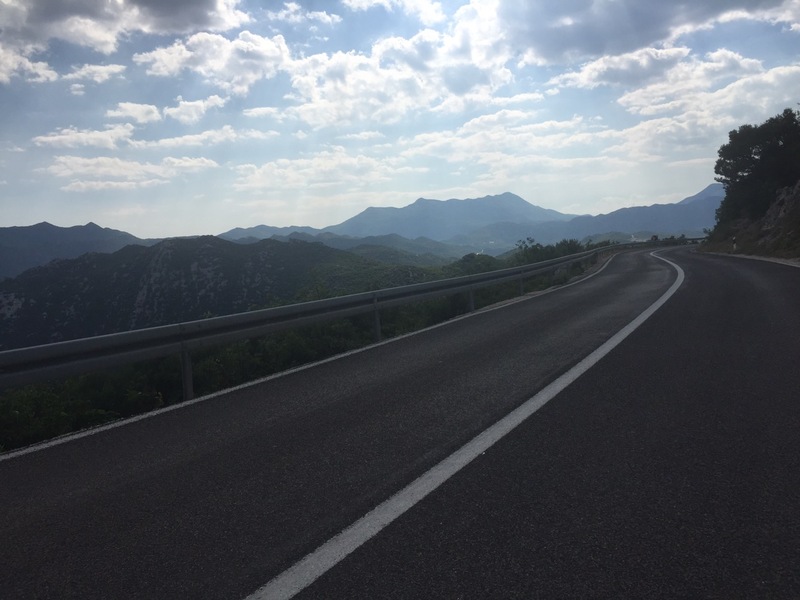 During the first climb towards the road to Dubrovnik, I met the first rider and shortly after that the second. I felt well and ignored the fact, that I must be fast. It was time to listen to my mental fitness as I had no hard fact figures showing the current situation from my Garmin. It was hot and I drank at least three times more than during the last year. Three 750ml bottles were mounted to my bike, standard for long rides in summer conditions. My route took me up north pretty much the same way as I came down from the Alps. 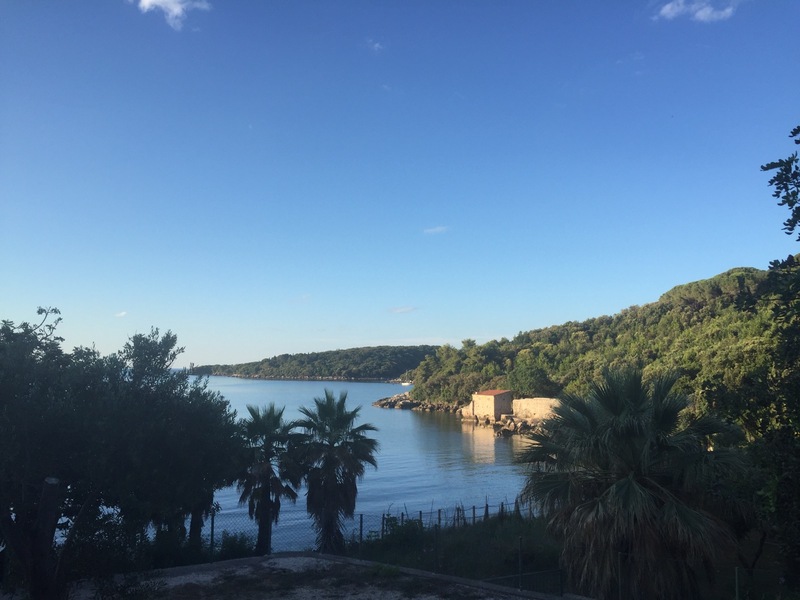 Always along the coast line and at Baci I turned East into the hills or scenic valleys to get behind the mountain chain which is situated directly along the coast line, in the hope to avoid strong winds and showers from the sea side. 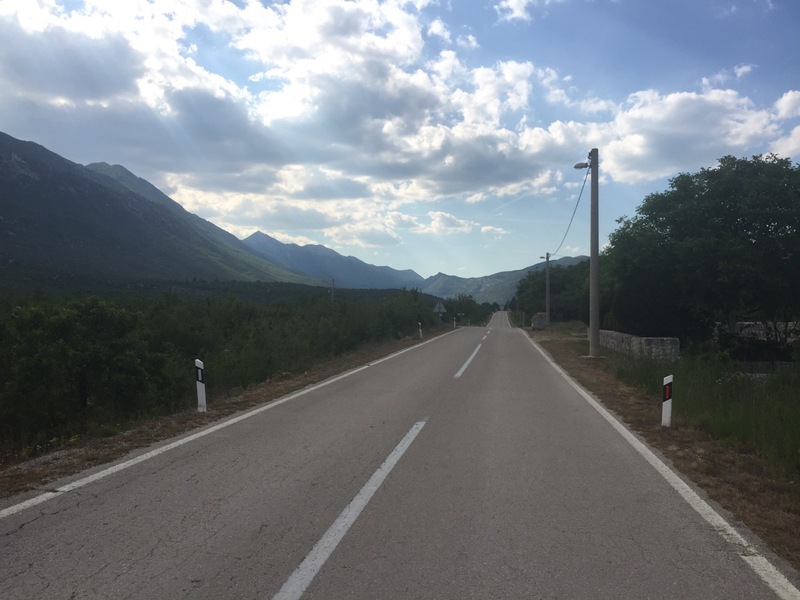 The first proper climb went up steadily towards Vrgorac and further up. I messaged with my wife pretty much during the first day and she told me that I was pretty much ahead at that time. Ian and Alex were out of reach but currently only two other riders had been ahead of me. This information was not really good as she also sent me the link to the dot watching page. I opened it and realized that it will not be so difficult to get up front the two close guys. As I climbed towards Nova Sela, I caught them both but shortly after that I needed a rest, felt empty. 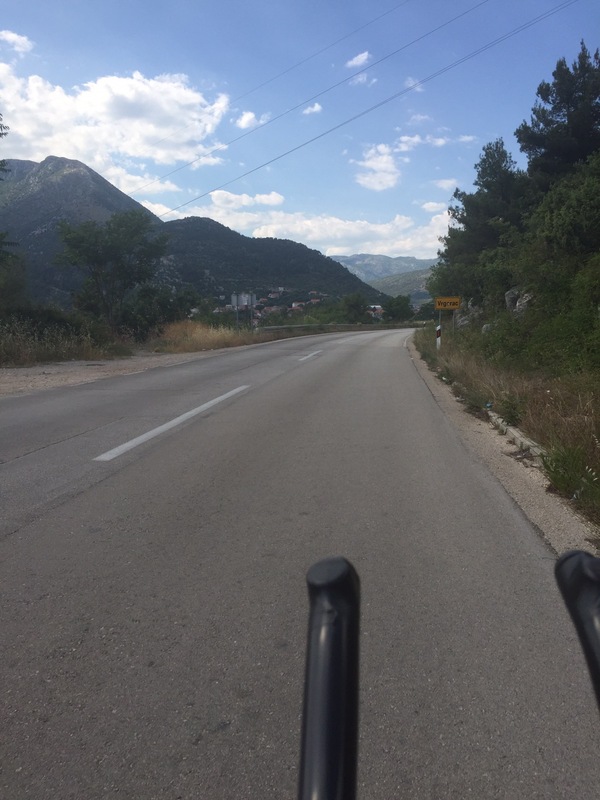 Somewhere between Nova Sela and Ugljane I decided to stop racing for today. 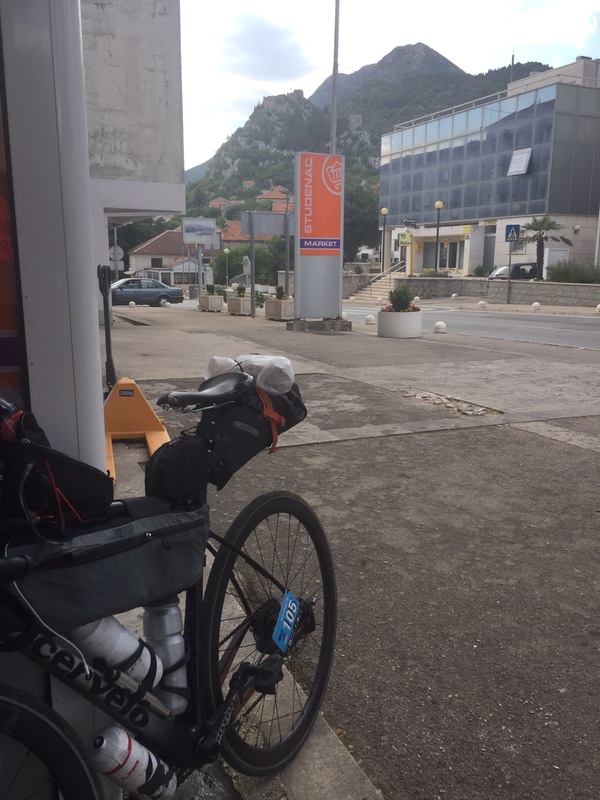 Just shortly before –in Nova Sela- I had a pitstop with three or four smaller flavoured water ices and I realized both of my knees had some strange rash which I did not like at all. I found a cosy wooden bench under a wonderful shadow sharing tree on the opposite side of a grave yard. It was around 1800 and I cycling app. 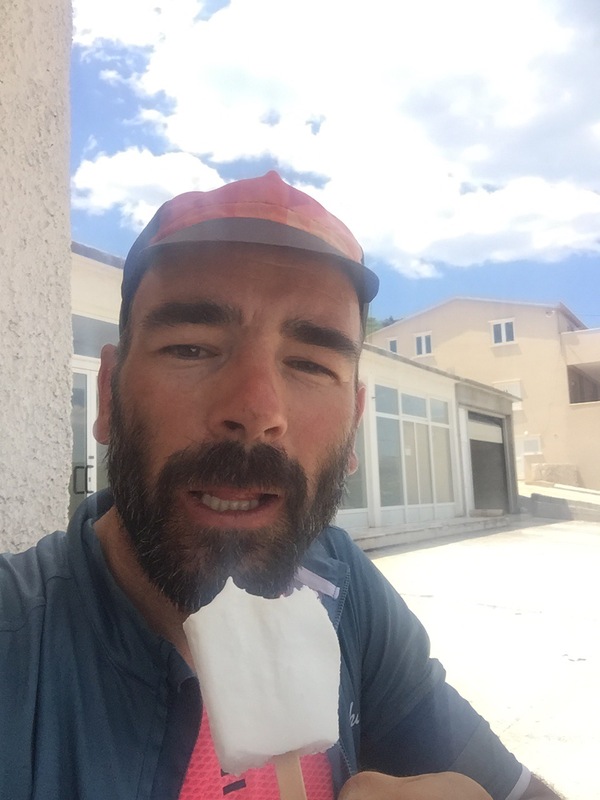 230kms which was way too fast for my general routine, obviously I was slightly infected by the race fever, as we discussed the night before and I totally refused to get in that mode. I pulled out my sleeping bag as I felt cold, half an hour later I was hot. So I was realizing that I would need a good good good rest and no rush at all to get on the bike again. 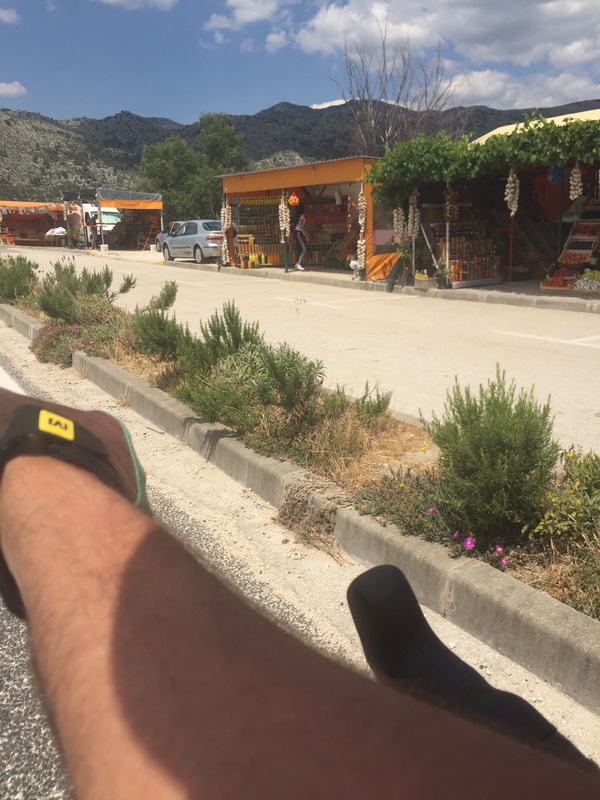 During my entire stay I heard every single bike that passed, sometimes I waved, Darko stopped and we had a little chat, we both confirmed that we started way too fast and he went on. 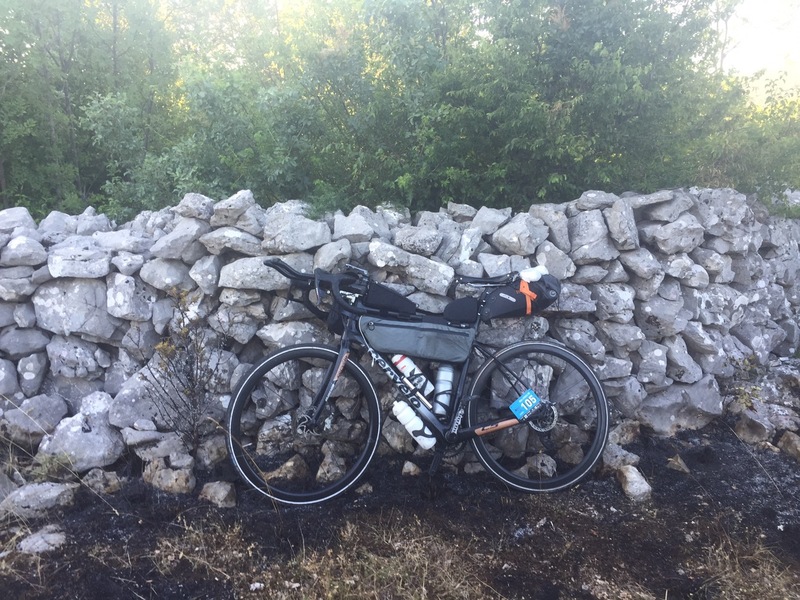 During the night or early morning I realized that one rider stopped just next to me, I did not try to find out who it was, I focused on relaxation and getting well again.